Choosing the perfect locale for your next getaway involves a lot of planning and research. If you’re looking for diversity, hip bars and cafes, vintage thrift shops, and a lively nightlife, then the neighborhoods in these cities check off all of the boxes and definitely deliver on the cool factor. You will also find lovely B&Bs located near all of the hot spots in these cool neighborhoods, ideal for retiring after a night out on the town. How Sweet It Is! This welcome sign that greets visitors when they enter Brooklyn, New York, says it all about this unforgettable borough. 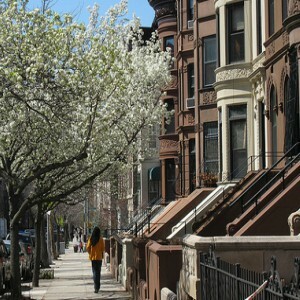 The Fort Greene neighborhood in Brooklyn is rich in culture, history, and personality. Known for beautiful tree-lined blocks of brownstones, and brick row houses, this gem is home to BAM (Brooklyn Academy of Music) where you can watch blockbuster and independent movies, an opera or a play. Choose from deliciously diverse foods such as pizza, curry goat stew with roti, and falafel with baba ganoush, as you stroll down Myrtle Avenue. Then find a bench in Fort Greene Park and enjoy your meal as you people watch. Your Brooklyn adventure wouldn’t be complete without visiting the amazing sights in and around Barclay’s Center (music concerts, basketball games, Disney On Ice), and sampling the eclectic cuisines at DeKalb Food Market (Katz’s Deli, Ample Hills, Fletcher’s BBQ, Arepa Lady). End your fun-filled day at Regina’s New York B&B, a beautiful brownstone house that offers guests quaint single or double rooms, with antique furniture, original hardwood floors, and endless Brooklyn charm. After experiencing the hospitality at Regina’s in this special neighborhood, you will agree that there really is no place like Brooklyn. Feeling hungry? Fuel up on treats as you nourish your body and soul in Montavilla, an exciting neighborhood covering parts of Northeast and Southeast Portland, OR. This large neighborhood offers visitors a variety of dining options to satisfy their taste for something sweet, savory and everything in between. 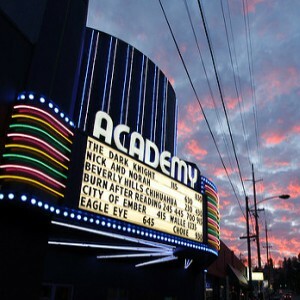 Visit the historic Academy Theater and enjoy a movie with tasty offerings of pizza, burgers, sushi, and a wide selection of beer and wine. Get a feel for the neighborhood on bike as you sample a smorgasbord of Thai, Vegan, Japanese, Seafood, Italian, and Mexican cuisines. Remember to save your appetite for a hearty meal of brined & smoked duck, mashed potatoes with Sausage gravy, and a sweet and salty brownie sundae at the Country Cat. Weary and full, the Lion and the Rose Victorian Bed & Breakfast is the perfect place to relax after a long day. Rest your head on the comfortable King bed, sip tea in the sitting area, and enjoy a calming soak in the claw foot tub. From the amazing food to the small town, homey feel, this neighborhood will fill you with warmth and entice you back again and again. If you’re looking for colorful local characters, a lively music culture, and artists and poets, look no further than Faubourg Marigny, one of New Orleans’ oldest neighborhoods. This Louisiana area is bursting with life around every corner, on stoops along the strip, and in the jazz, blues, reggae, and rock clubs. Located between Esplanade Avenue and Press Street (the eastern and western boundaries), Marigny is known for Frenchman Street, a popular strip of clubs, live music bars, restaurants, and tattoo parlors. This exciting hub of activity and revelry also includes antique shops and bookstores. 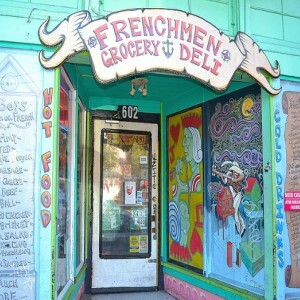 On the weekends, visit Frenchmen Art Market and peruse the unique crafts and wares for sale. When you’re done feeling the funky vibes and eating the spicy Creole dishes, escape to Pierre Coulon Guest House, just four blocks from the vibrant Frenchmen Street entertainment district. This small, guesthouse was built in 1831 and is a classic example of New Orleans Creole architecture. Guests can relax in the comfortable and peaceful suite that has a private entrance and a balcony overlooking a lush sub-tropical patio. Before you leave The Big Easy, visit the gardens of Washington Square Park. This lovely little park with oak trees is a great place to meet residents, hear great stories about the neighborhood, and enjoy an authentic NOLA experience. With a claim to fame of being “the best beer neighborhood in the nation,” North Park is a popular residential neighborhood in San Diego, CA. The cozy, craftsman homes make it a highly desirable place to live and visit. Beer-enthusiasts will enjoy the bar hopping intersection of University Avenue and 30th Street, known for craft-beer establishments Toronado, Tiger! Tiger! and Modern Times Flavordome. 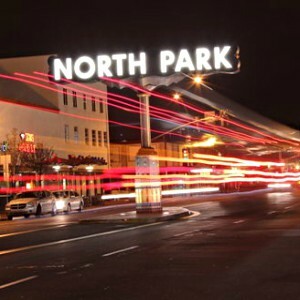 Along with great restaurants, galleries, vintage thrift shops, and live theater and musical shows (many located on Ray Street), it is no wonder North Park is a standout for diversity, food, nightlife, music and the arts. The historic Observatory North Park, a live music venue in the heart of the business district, offers an impressive year-round line up of performers. After admiring the beauty of the Craftsman homes from the outside, spend the night inside a handsome Craftsman style home at Carole’s Bed and Breakfast. Listed by the City of San Diego as a “Historical Treasure,” the lovely rooms and warm hospitality from the innkeepers, exudes a comfortable and friendly atmosphere. There is a big family table for enjoying a tasty continental breakfast, and an inviting common room with comfy sofas ideal for curling up with a good book. Grab a book and enjoy a lazy afternoon on the lovely deck overlooking the pool area. Pulse. Buzz. Clamor. Beat. These are just a few colorful words used to describe the eclectic neighborhood of Capitol Hill in Seattle, WA. This eccentric urban scene boasts art, jewelry, and vintage furniture sold in an old firehouse, as well as a beautiful Rainbow Crosswalk in the middle of town, a nod to the areas LGBTQ-community and the neighborhood motto that all are welcome. Packed with hip bars, eateries, coffee shops and cool indie stores and boutiques, some credit Capitol Hill as the “West Coast birthplace of the hipster craze.” Give your taste buds a treat with global can’t-miss dishes such as grilled octopus, chile cumin pork ribs, and salt cod croquettes. Burn off those calories at Volunteer Park, home to a water tower that you can climb up for amazing views of downtown. Shafer Baillie Mansion, just one block from Volunteer Park, is the perfect retreat after the sun goes down. A stately 14,000-square foot Tudor Revival home, the comforts and hospitality that await you will fulfill your every need. From the oak-paneled dining room where breakfast is served, to the four-poster mahogany queen-size bed and sitting room, guests feel enveloped in luxury and warmth. 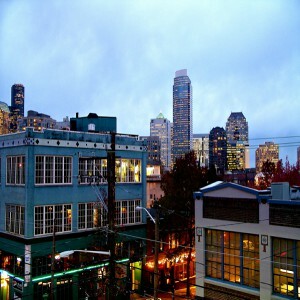 The mix of old world charm and new and hip attractions in Capitol Hill offers something for everyone. This entry was posted in Trendy Destinations by BnBFinder. Bookmark the permalink.